International Junior Sports & Education Advisors (IJSA) and Global Junior Golf (GJG) are happy to announce an expansion of the current partnership. After Bishops Gate Golf Academy (BGGA) has joined as a GJG Performance Center in 2016, it is an absolute honor that International Junior Golf Academy (IJGA) will be listed from 2018 onwards as a GJG Performance Center. Global Junior Golf is seeking and accepting only premium academies from around the world as GJG Performance Centers, which deliver top professional training facilities and family atmosphere for juniors, so juniors can ultimately chase their golf and collegiate dreams. IJGA has a long history of building top juniors and have helped players from around the world to achieve successful college careers. It is a great honor that two of top junior golf academies in the world are now connected and will be able to share their resources and expertise to all GJG members around the world! GJG: Lee-Anne, once again a big thank you from the GJG family for promoting junior golf and for the exiting extended partnership. How do you feel about the new endeavors? Lee-Anne: It has been a pleasure working with Global Junior Golf for the last couple of years. We have been so impressed by the passion and professionalism of the team and feel very aligned in our values and mission for growing junior golf. This new partnership, expanding into IJGA and bringing GJG events to the USA, was a natural progression for our already successful partnership and we are very excited for the new opportunities this will bring to our students and GJG members. GJG: GJG members already had the chance to get to know one of your premium brands, Bishops Gate Golf Academy. Please introduce International Junior Golf Academy to the GJG family. Lee-Anne: IJGA is a very well-established brand in junior golf, with a rich history over 20 years. At IJGA we believe in developing the whole person—the athlete, the student and the young adult. Emphasizing both intensive training and scholastic achievement through the nationally accredited Heritage Academy, IJGA has produced some of the best junior golfers playing within the American Junior Golf Association (AJGA). As a result, nearly all of our students receive college scholarships to the top collegiate golf programs in the United States. Highly sought after, the diverse student body represents 28 countries as athletes and scholars. The golf team is led by Jonathan Yarwood, a UK PGA Master Professional with over 20 year’s experience in developing some of the world’s best juniors. Set in the golf paradise of Hilton Head, IJGA is ideal for players wanting to accelerate their progress and develop their game. GJG: The goal of the “American tournament Swing“ of Global Junior Golf is that juniors have a chance to meet each of your academies (BGGA & IJGA) and additionally play top international tournaments. Can you tell us something about the hosting golf courses and each of the tournaments? Lee-Anne: We are so excited to be hosting two Global Junior Golf events in December of 2018, both which will be operated in partnership with the International Junior Golf Tour (IJGT). The first will be in Hilton Head, South Carolina, one of the most prestigious golf regions of the U.S., followed by an event in Central Florida, close to BGGA. At this time we are working to secure both courses, which will be highly ranked courses, providing excellent challenges and conditions. Both events will be powered by IJGA and BGGA respectively We expect to have course confirmations in early March and look forward to those exciting announcements. GJG: Both venues are logistically easy to reach and have international airports. At BGGA you fly into Orlando, Florida and for IJGA you fly into Savannah, Georgia. Can you give some insight to which type of player would find a fit in either Academy? Lee-Anne: Both IJGA and BGGA have unique differentiators, and I encourage all the Global Junior Golf members who plan on travelling to the U.S. in December to play both events and visit both academies. Preferences come down to location, coaching teams, school, if relevant, and other non-core offerings. As far as the core program which encompasses golf training, technology, mental and fitness training, facilities, college preparation and student life, both programs are excellent and offer a great experience to a junior or amateur player wanting to improve their game and compete in the U.S.
GJG: Can players expect that college coaches will attend the events? Lee-Anne: IJGA and BGGA are premier junior programs, with a strong network of college coach relationships and connections. Coaches are always looking for good student-athletes for their programs and rely on our recommendations to make recruiting decisions. We will be inviting as many college coaches as possible to attend our events to give exposure to the players and showcases their abilities. GJG: During each event, players and parents will have the chance to attend Lecturing nights about College Golf and Academy life. Can you give some advise on how players should prepare for these educational sessions? Do they need to bring any information with them? And do you have any advice on how to approach college coaches? 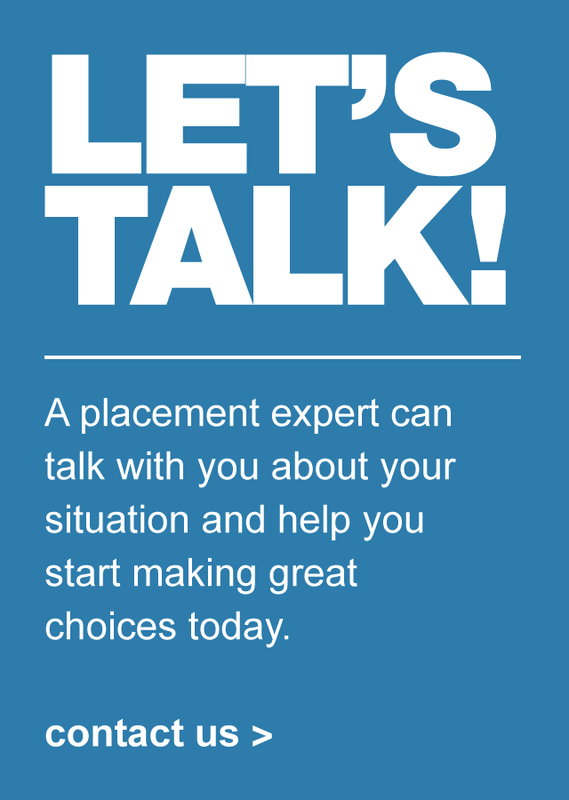 Lee-Anne: The college recruitment process is complex and potentially overwhelming. Some students are unable to approach a coach due to NCAA rules, which restrict communication with students under a certain grade. At each academy, we will be conducting in-depth educational sessions to outline the process and provide practical tools to help student and families create their college plan. It would be helpful to bring your golf resume updated with academic scores such as GPA, SAT and TOEFL scores. GJG: BGGA and IJGA have produced some very successful alumni students. Who are some of your alumni, and from which part of the world do juniors attend your academies? Lee-Anne: We have students and alumni from all over the world, who have been successful in their collegiate and professional golf careers, as well as many who went on to pursue their passion in a number of other areas. 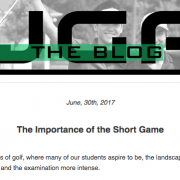 The purpose of BGGA and IJGA is to prepare our students not just for golf, but for life, and give them the tools to be their very best, not matter what their path. IJGA alumni include Morgan Hoffmann, Shanshan Feng, Song-Hee Kim, Pablo Larrazabal, In-Kyung Kim, Stephanie Meadow to name a few. BGGA has a much shorter history, but is proud of the caliber of player at the academy, such as Julian Perico, a top ranked Peruvian player and Anna Chen, who has won 10 events across different tours. GJG: Why have you chosen to host the“American tournament swing“ of Global Junior Golf? Lee-Anne: GJG events are run to a very high standard and all carry WAGR rankings. The IJGT is very pleased to be in partnership with GJG to provide this same high standard of tournaments to IJGT members and academy students. These first two events are just a start and we hope to continue to grow GJG in the States. Lee-Anne: We anticipate a maximum of 100 players at each event. Tournament details will be released soon, providing full information on tournament events, housing options, golf course etc. Lee-Anne, thank you for your time and we are already counting the days fort he “American tournament swing“ from Global Junior Golf, proudly powered by IJGA and BGGA. The season 2018 is on the move and players are looking forward to qualify. IJSA’s marketing team is here to assist with your outreach and activation efforts to drive BGGA/IJGA/La Loma brand awareness. We have materials you can use in your strategic relationships with individuals, schools, clubs, federations and other ambassadors to drive enrollment in camp and academy programs at any of the IJSA Academy locations. 1. As an IJSA Agent, IJSA has provided you with access to a shared Dropbox which contains all the marketing materials plus digital copies of all Camp and Admissions guides. You may download and print them or email the link to the guide in the Dropbox to a prospect. 2. Agents may request flyers for specific events from IJSA marketing. If you need the flyer translated, please manage the translation and return a copy of the translated piece to IJSA marketing for approval before using the flyer. You may use your own contact information on these flyers. 3. Agents are encouraged to deliver seminars and presentations to various audiences of families, teams, coaches, schools, federations officials, etc. – IJSA Marketing has provided you with a PowerPoint presentation to which you may add your own contact information. – IJSA marketing shares all new golf and performance related videos and articles with all Agents in the Dropbox. – IJSA marketing creates a new blog post for each Academy each week. You will have two blog posts from which to use within a weekly column in a magazine/newsletter, to email to your customer list, or to use within your blog. – A print ad to which you can include your contact information is located in the Agent Dropbox. – The ad is a raw file so you can resize and add your contact info. – All ads must be approved by IJSA Marketing prior to sending them to the magazine/publication. – A digital banner ad to which you can include your contact information is located in the Agent Dropbox. – Again, the ad is a raw file for you to resize and add contact info. – All ads must be approved by IJSA Marketing prior to using them. – Admissions forms for Academy semesters and Registration forms for Camp (year round and summer) registration. – You may use the logos to create your own banners for events. – Any other use of the logo must be approved by IJSA marketing. – Brand guidelines. The brand guideline for each Academy include how Agents may represent the IJSA Academies, and procedures for approving any and all promotional materials you create. 7. IJSA Marketing will provide you with a social platform update quarterly so you can tap into it, share, etc. We can even give you an update on what content is coming. Facebook may be flawed (elections, fake news), but its segmentation is a masterful piece of work by well-trained marketers. Facebook uses a sophisticated segmentation approach to build its formidable targeting capabilities. While most digital marketers are obsessing over communications, exclusively tactical decisions (such as ‘how do I live stream myself to millennials connecting my VR headset with my 3D printer?’) and micro-metrics like CPM and CTR, Facebook is building the fastest-growing digital business in the world on the basis of doing good basic segmentation and then offering it to clients who are increasingly unable to do any of this themselves because a) they do not know how to do it or b) they don’t think such things are important any more in the overly tactical world of modern marketing. Facebook, we doff our marketing caps in your general direction and offer our congratulations. Facebook’s approach is what we call hybrid segmentation. It uses multiple data sources drawn from a combination of different types of consumer data to build its picture of the market. There is a combination of general attitudinal data (e.g., supporting sports organizations), behavioral data (e.g., buying tickets to a golf tournament) and demographic data (e.g., 65% male). The Facebook team started with the attitude clusters, then moved onto behavioral indexing and then finally looked for demographic distinctions from the general marketing mean, and then made up a bunch of stereotypical ideas about what this ‘segment’ would probably want. That ability to slice, dice and then target down to the individual level is supremely useful when it comes to designing messages that will press the right buttons when families are considering a golf boarding academy or camp experience. We also get another massive advantage with this segmentation. We can reach everyone. 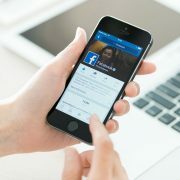 Their expertise in segmentation is going to make Facebook even stronger and more dominant next year. What Factors Influence the Cost of Facebook Ads? A lot of factors directly or indirectly affect the cost of Facebook Ads. How much your ads will actually cost—and how much you’ll get for what you pay—will depend on a variety of different factors. 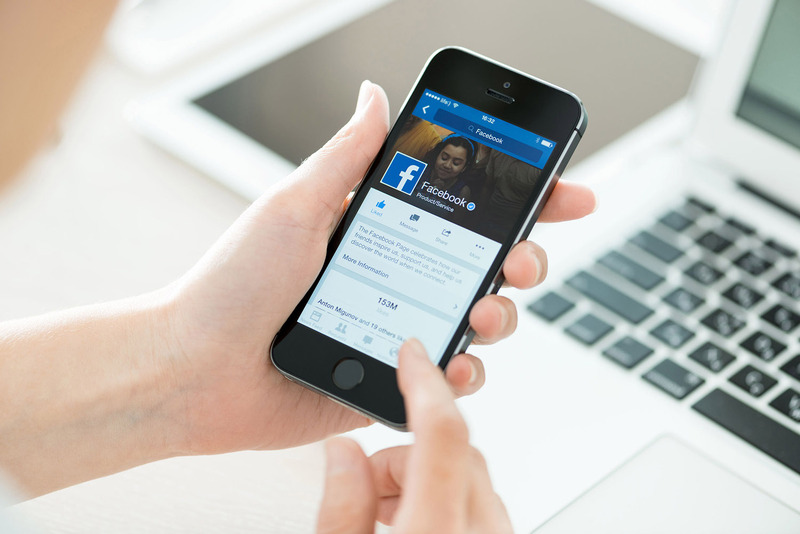 Here are some of the biggest factors that directly influence the cost of Facebook Ads. ○ This, in part, will largely be affected by what you’re spending, bidding, and who else is targeting the audience you’re targeting. ○ Facebook measures the quality by based on relevance and interaction. Making sure the relevance score and click-thru rate stay high will result in lower priced ad space. ○ There are peak times in the year when advertisers are flocking to Facebook Ads in droves—even more than normal. During these peak times, there will be more competition for ads, and you’ll pay more as a result. ○ Facebook has different bidding options based on the objective of the campaigns. Bidding options affect cost a great deal, because you are choosing what you want to pay for. A cost per conversion is almost always more expensive than the cost per impression or cost per click, etc. So what does this all equate to? In just the USA, the average cost per click (CPC) of Facebook Ads in Q3 2016 was 27.29 cents (and 27.40 cents for ALL objectives). The cost per 1000 impressions (CPM) based on Q3 was $7.19 (and $7.34 CPM for ALL objectives). CPC declined for 35 and ups, but increased for 34 and younger (except for the teenagers which remained at their lower cost .06 cents per click). For campaigns running “Page Likes” as an objective, advertisers saw an average cost of $0.23 per page like in Q3 2016, or about $230 per thousand likes. There are plenty of factors that can affect how much you’ll be paying for Facebook Ads, including the audience, relevance scores and bidding strategies. The data shared here, however, covers a large span of usage and demonstrates a starting point of what you can use as a reference point to get a realistic, number-based view on how much Facebook Ads actually cost. 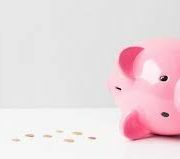 Your costs will likely be slightly (or, in some cases, very) different, but knowing what affects the cost of Facebook Ads and how to lower them, you can go in knowing what you’ll be paying. 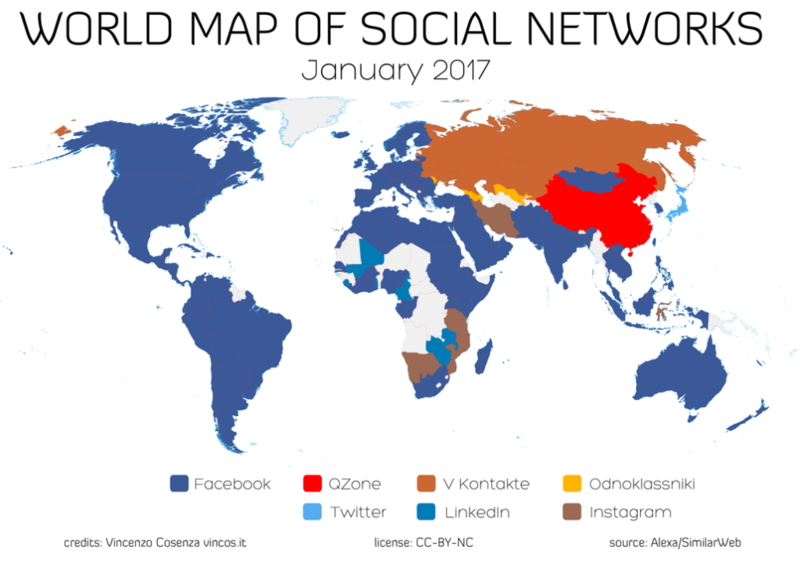 According to Alexa and SimilarWeb traffic data, this map shows the most popular social networking sites by country as of January 2017. Facebook is still the leading social network in 119 out of 149 countries analyzed. With over 1.6 billion monthly active users. Facebook has 540 million users in Asia Pacific (+44 million since last December), 323 million in Europe (+ by 12 million), 219 million in USA & Canada (+6 million). Facebook continues to grow more so globally than domestically. Next month, we’ll send you information on understanding Facebook Ads and Ad Spend. Instagram is the second social network in 37 countries. In Botwana, Mozambique, Namibia, Iran and Indonesia – Instagram wins and some African territories prefer LinkedIn. 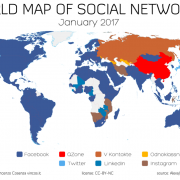 Overall LinkedIn conquers 9 countries, Instagram 7, meanwhile VKontakte and Odnoklassniki (part of the same group Mail.ru) grow in Russian Territories. In China QZone (QQ) still dominates the Asian landscape with 632 million users. Maggie researched that those born after 2000 gravitate to QQ. Japan is the only country where Twitter is the leader It has 35 million monthly active users, while Facebook has 25 million. For Partners: Start a Golf Column! 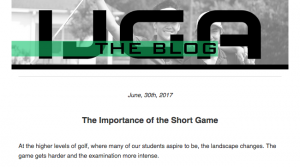 IJSA creates new blog/video posts on a weekly basis for both BGGA and IJGA. You may use these posts and images not only on your website, but on someone else’s online or print publication. First, search out local, regional or national print or online publications who may be interested in a golf or golf performance training regular column. 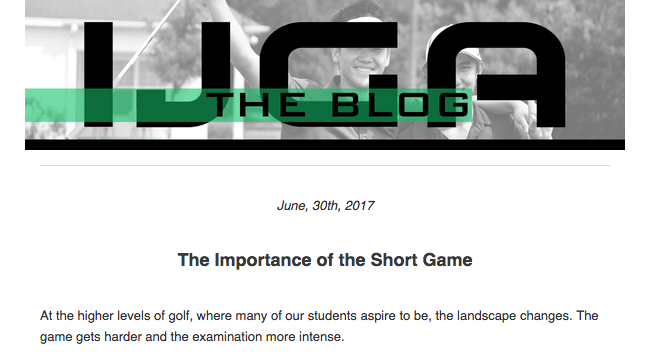 We suggest you meet with the editor, show them samples of the type of blog posts/articles you could provide from either BGGA or IJGA or both. Tell them we offer not just educational but entertaining articles/posts and videos related to the junior golf world. Remind them that these are the top experts in junior golf in the world. Show them our Coaches Bios one pager. IJSA marketing department will help you write a brief overview for the column that explains who is writing the articles. We suggest you drive any inquiries directly to you, so either to your website or email/phone. Every editor is looking for good quality content. In return for the regular posts/videos, ask for a full-page ad, and don’t settle for less than a half-page ad. One of the most effective content formats is a third party site. Having a layer of authenticity behind the Academy posts or a video will invoke confidence and curiosity in potential student-athletes and their families. This added layer of authenticity provides credibility to the Academies and to you. Blog content is still a dominant marketing tactic in 2017, whether that’s a listicle, blog post, article or other. Content supplements sales and supports the backbone of each Academy’s messaging. It’s an integral part of helping you market. Best of luck! We are here to help you should you need us. P.S. Please note IJSA marketing must approve both the publication and the brief overview. http://www.ijsa.com/wp-content/uploads/2017/07/Screen-Shot-2017-07-05-at-12.55.26-PM.png 361 650 Stacy Shanks http://www.ijsa.com/wp-content/uploads/2016/08/ijsa-logo-300x110.png Stacy Shanks2017-08-14 18:20:052017-08-14 18:20:05For Partners: Start a Golf Column!